The photo below shows the optical tube assembly (OTA) configured for prime focus flat-field photograhy. The secondary mirror is removed so that the light path passes through the flat field corrector and filter wheel. The prime focus option makes the OTA longer than an identical Cassegrain without an accessible prime focus. 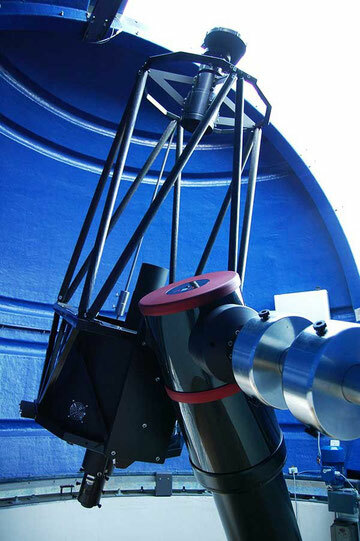 This is two telescopes in one: a 620 mm f/3.4 astrograph and a 620 mm f/10.4 Cassegrain astrograph.